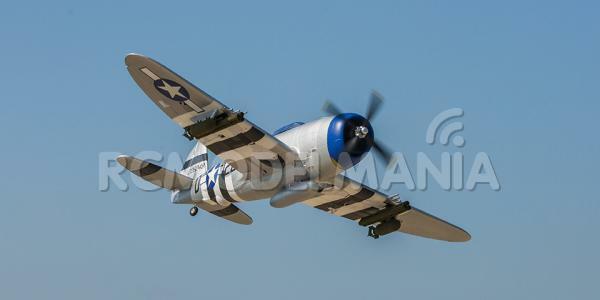 When the P-47 Thunderbolt first arrived in the European theater of World War II, its rotund fuselage quickly earned it the nickname “The Jug”. 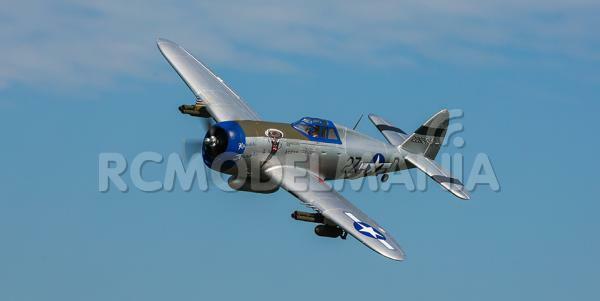 It wasn't long, though, before this became short for “Juggernaut”. 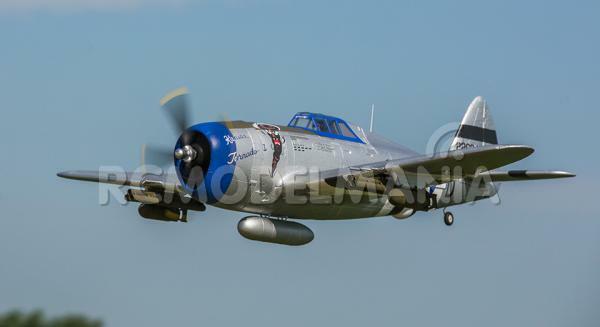 Built like a 400-mph flying tank, it packed the wallop of eight .50 caliber machine guns and carried enough bombs and rockets to wipe a ground target clean off the map. 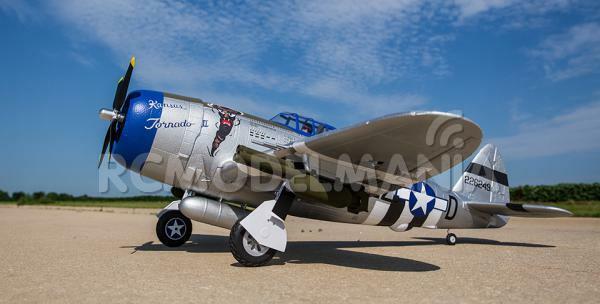 This gorgeous 1.2m replica of the Razorback P-47D perfectly captures the power and presence of this one-of-a-kind warbird. 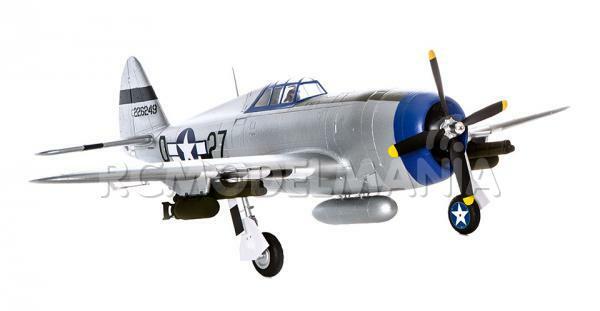 Along with its many other scale details, the model comes out of the box with functional flaps and electric retracts that are already installed for you. 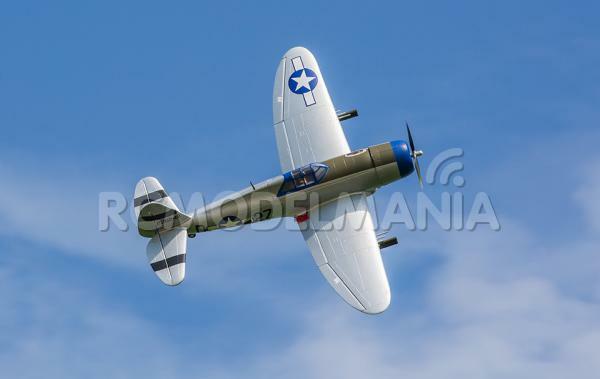 Details on the landing gear struts and wheels add to the realism. 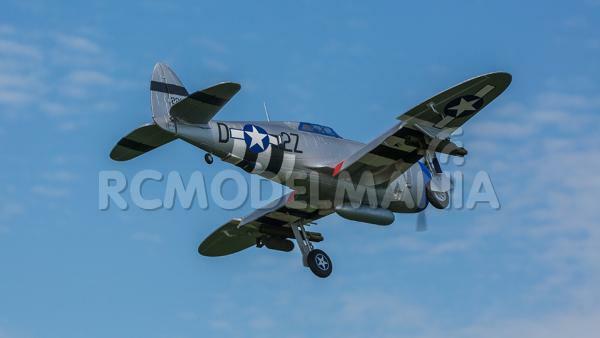 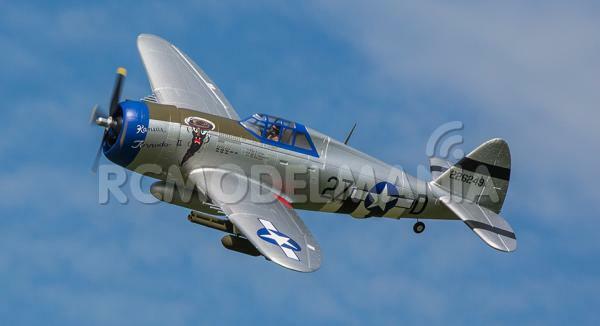 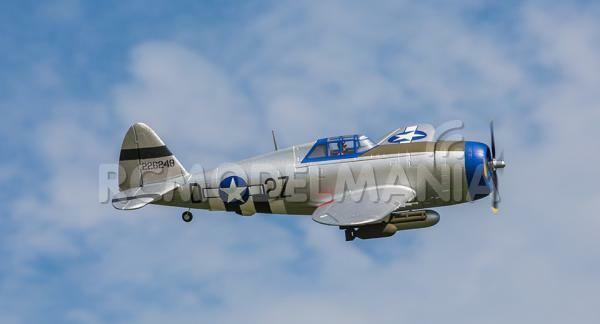 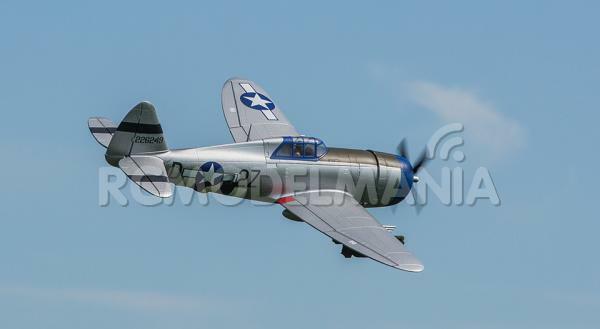 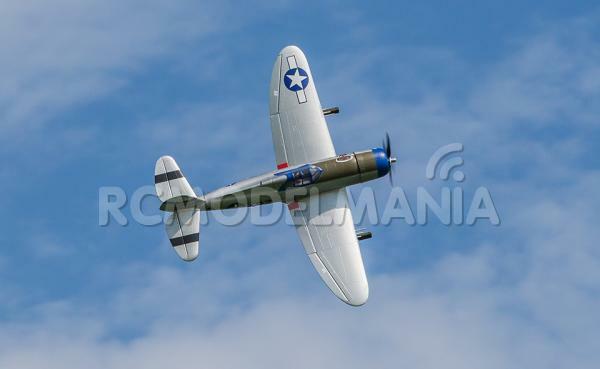 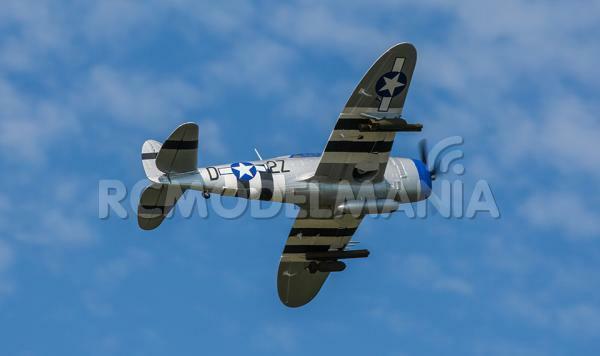 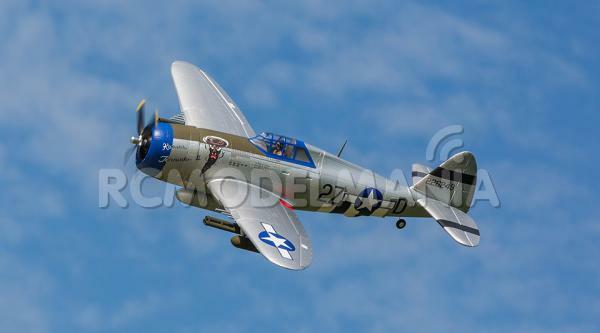 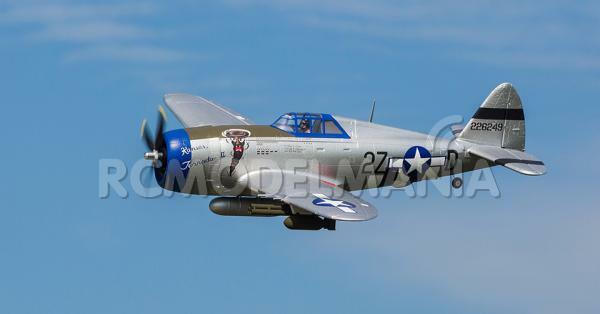 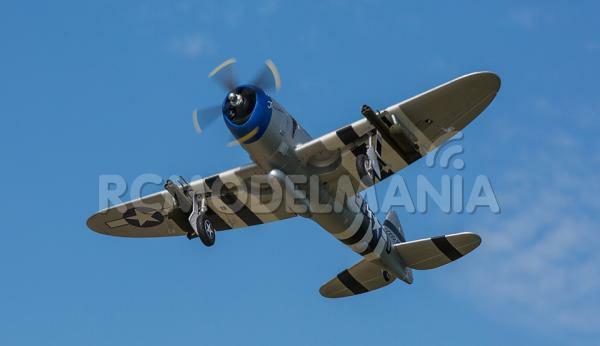 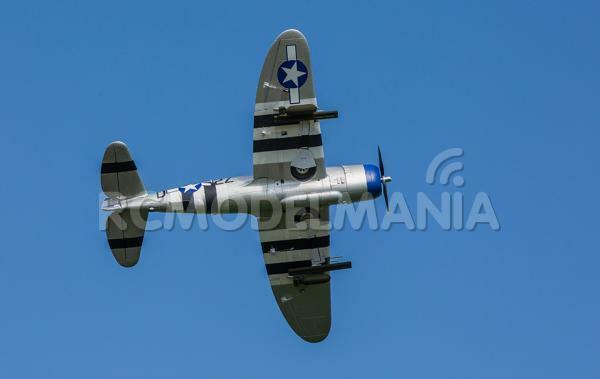 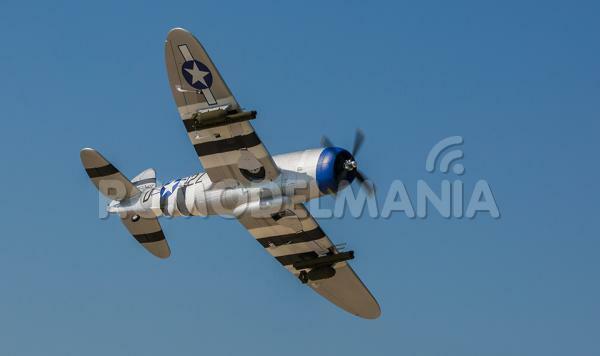 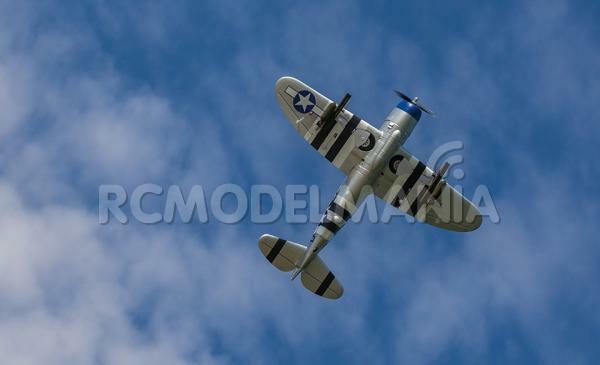 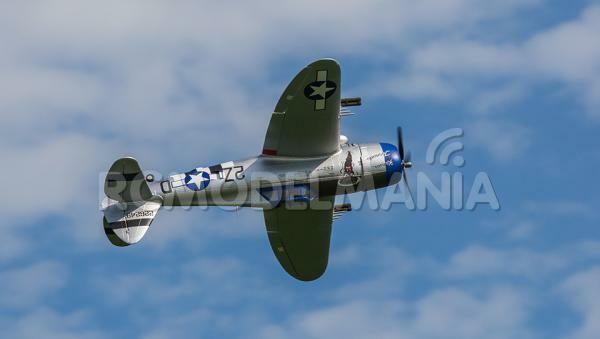 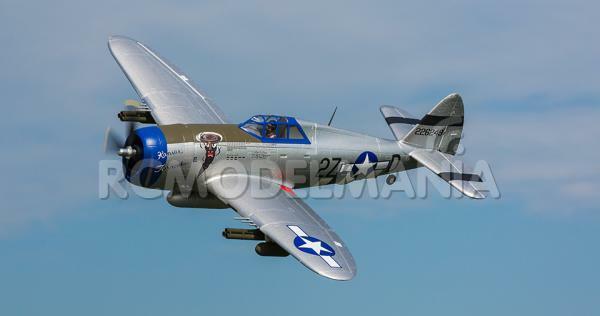 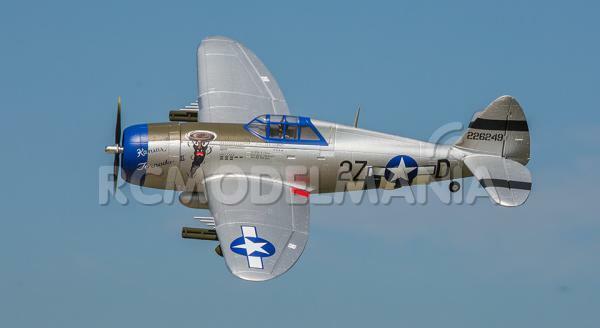 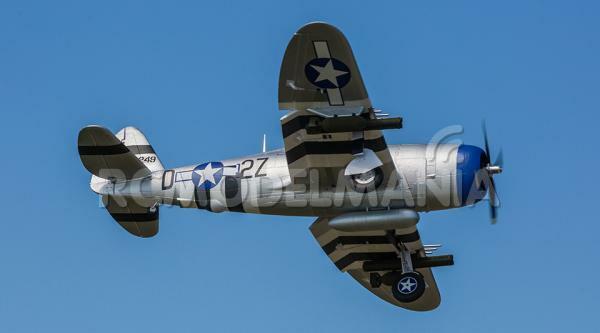 You will have a tough time finding another RC replica of this iconic warbird that looks as good as this one. 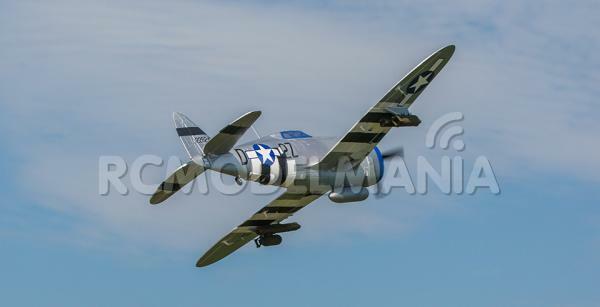 The expertly applied trim scheme is that of a P-47 that flew with the 510th Sq., 405th Fighter Group during World War II. 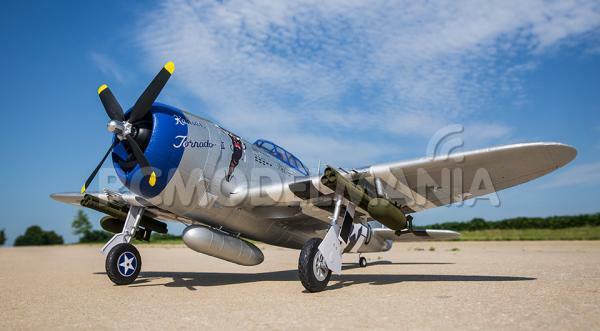 It is complemented by molded panel lines and machine gun details as well as engine details in the nose. 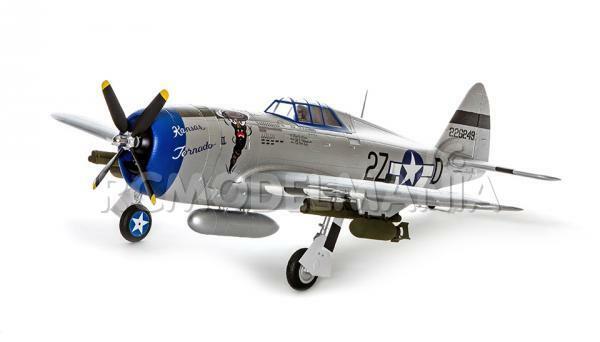 You also get an assortment of payloads you can attach to mounting stations under the wings and fuselage. 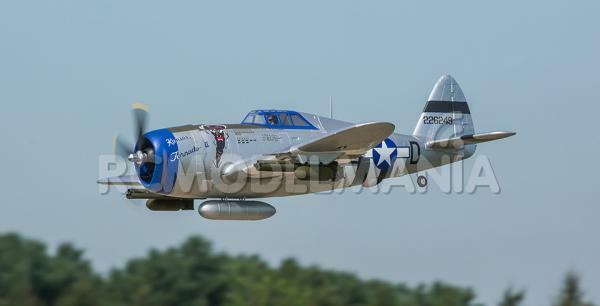 These include 2 bombs, 2 rocket pods and a centerline drop tank. 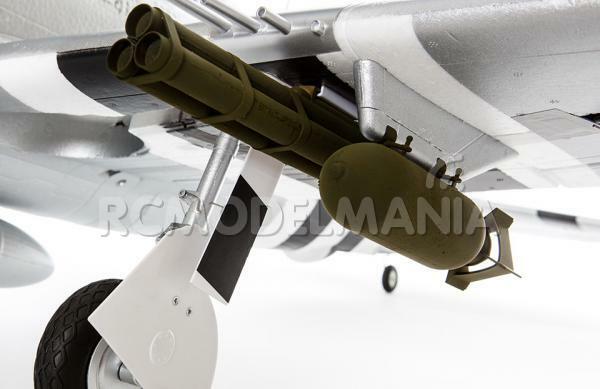 All snap into place and can be attached or removed in seconds, no tools or glue required. 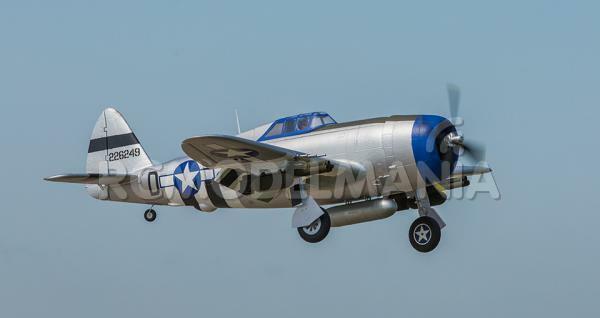 This high-output motor system delivers thrilling speed and climb performance when matched with a 2200mAh 3S 11.1V 30C LiPo battery (sold separately). 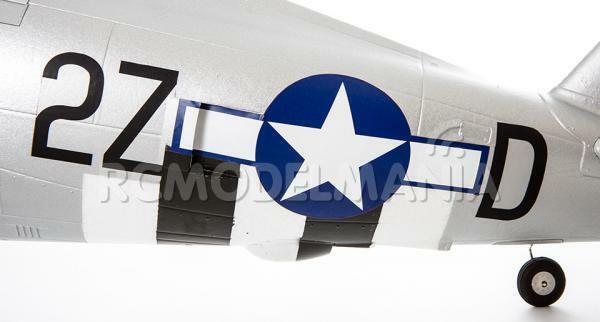 The efficient 4-blade prop also serves as one of the model's realistic scale details.